One of the first things that comes to mind when you have been given a task to format your writing according to MLA format is “what does MLA format mean?” And then, after a brief look through the student MLA writing style Handbook and the number of rules and guidelines that the handbook provides, you may experience a little dizziness. One of the possible solutions would be to search for MLA format help online and read a concise guide where all the necessary information is condensed and ordered in a rational and convenient manner. The MLA abbreviation stands for Modern Language Association of America, also known as Modern Language Association. This organization is established and based in the United States with a headquarters in New York, however, its influence and authority is international. MLA includes more than 25,000 members in over a hundred of countries. For the most part, these members are the people who see their professional interest in modern languages and literature. Although founded in 1883, Modern Language Association is still highly active, gathering professionals and enthusiasts with a common idea of promoting “the study of language and literature”. The organization is generally known for developing an MLA formatting and style guide, which main purpose is to determine a standard for writing and editing academic and scientific works and documents in liberal arts, primarily modern language and literature, literary criticism, media, cultural studies and other interdisciplinary subjects. It is important to know that MLA has released both the MLA Handbook and the MLA Style Manual. The main difference between these publications is that while MLA Style Manual is designed for professional writers and editors, professors, and academic scholars, the MLA Handbook is targeted at students and their teachers. So, what is an MLA format and what are the features that distinguish it from other formatting styles? MLA writing manual covers the key elements of formatting documents and language use within the text. It also determines a template of in-text citations, as well as the format of ‘Works Cited’ pages. Hence, MLA writing style guide is a list of rules and patterns, which were developed to make sure that papers written in MLA format are plagiarism-free, well-structured and can be easily found in a huge and ever-growing amount of academic information. It is preferred to use present tense to provide paraphrased quotes and express personal opinion and comments. Past tense is used only to describe historical events, or if the quoted passage is in past tense too. 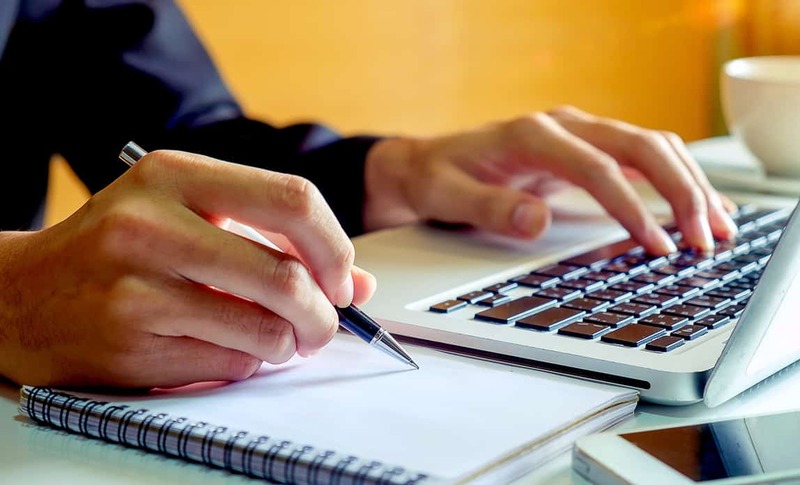 MLA style of writing papers implies a certain number of rules, which are developed to make the academic works more consistent, logical and credible. As the main purpose of academic texts is presenting the results of scientific work, as well as explaining and interpreting the gathered data and discoveries, the tone and language should correspond. Naturally, each type of academic writing should comply with a proper structure. At the same time, all academic works should be written in a coherent manner, with the use of complex yet clear syntactic constructions. Obviously, academic and scientific writing is deprived of any poetic and emotional expressions, unless, of course, they are, in fact, the subject of the research. No page number is required on a title page. However, it is always useful to ask your instructor for an example of a paper in MLA format, to make sure that your writing will meet all the necessary requirements and expectations. Use a double space between the title and the main body text. The author’s surname should forego the page number, separated by a three character spaces. If you decide to apply several levels of headings to your formatting style, the right thing to do is to create a key that would explain all the level headings used in the document, and the matching type of formatting. The crucial thing to remember is to use similar grammar constructions within a certain level of headings. For instance, if you used a brief noun phrase for a sub-section heading, the following sub-section headings should retain the parallelism and be expressed as brief noun phrases as well. Moreover, using headings of different levels, especially the numbered ones, can help you with writing an outline in MLA format. Other important elements of the MLA formatting style are endnotes and footnotes. They are used to acknowledge the borrowed ideas and indicate the summarized and paraphrased material by mentioning the exact pages of the sources included into the Works Cited list. The distinction between footnotes and endnotes is mostly in the position that they are placed at. Footnotes are displayed at the bottom of the page where the direct references were made, whereas endnotes should be listed on a separate page with a corresponding heading. So how to write footnotes according to MLA formatting style? Both footnote and endnote entries should be numbered consecutively with a superscript number (e.g., 7) and indented 5 spaces from the left margin (use [Tab] button for such indentation); the second and all the following lines of the entries should be left without indentation. Use double space between the entries. All the endnotes should appear in the Endnotes list with the same superscript number as they do in the main text. The Endnotes list should be located on a separate list at the end of the writing, before the Works Cited section. As it was previously mentioned, your instructor can ask you to include certain parts to the text of your paper, and in this case, it would be reasonable to ask your instructor to provide some sample papers in MLA format instead of searching for tips on MLA style online. Such precaution will allow you to format your paper exactly like you are being asked to, which, eventually, will have a significant influence on your grade. How to do MLA citation within the text? It is essential to make sure that the work of other people within your writing gets proper recognition. Beside the obvious purpose of academic integrity, assiduous citation has at least two more advantages: firstly, it provides the basic insight that is necessary for further comprehension and appreciation of the research and performed work; secondly, a decent number of citations makes the writing well-thought-out, substantiated, and credible. As many other formatting styles, MLA requires a brief in-text citation and a detailed reference on a Works Cited page. According to MLA format citation guide, in-text citations should be presented in parentheses in an Author-Page format, which means that you have to note the author’s last name and the exact page or pages in the original source where the cited material appears. As John Smith states in The Abundance of Grass Colors, the grass has a green color (12). The phrase “As John Smith states in The Abundance of Grass Colors…” is the signal phrase. After the first appearance, there is no need to repeat the title of the text, nor the full name of the author. “The grass is green” (Smith 12). Smith found that “The grass is green” (12). The grass has a green color (Smith 12). Smith discovered that the grass has a green color (12). Smith, John. The Abundance of Grass Colors, HarperCollins PH, 1986. As you can see, there is no need to add any titles, such as Mr., Mrs., Dr., PhD., etc. before the author’s name. Likewise, there is no need to write ‘p’ or ‘pp’ before the page numbers; no punctuation marks are required within the parenthesis. “The grass is green” (Smith, Jones, Nash and Shepherd 12). “The grass is green” (Smith et. al. 12). If you need to cite the words of an author, who has been quoted in another source, the original author’s name should be mentioned within your text, and the author of the source where you found the quotation should be mentioned in parenthetical citation. As Smith made an observation that “The grass is green”, it was thereby necessary to determine the grounds for such phenomenon (qtd. in Dyson: 314). “The grass is green” (Smith, The Abundance of Grass Colors 12). “Some trees have green leaves” (Smith, “100 things that can be green” 4). If the author of the cited material is unknown, the same principle applies: you can provide the title within the signal phrase, or mention a shortened version of it in a parenthetical citation. “The grass growth is largely affected by the local environment” (“How grass is grown” 3). Some essential factors about grass growth are described in the article “How grass is grown” (3). If there are two or more authors with the same surname on your Works Cited list, you should include the first name of the author to your in-text citation to avoid confusion. “Grass colors depend on the time of the year and vary from season to season” (Jacob Smith 317). As William Butler Yeats wrote in his famous poem The Wild Swans at Coole “I have looked upon those creatures, and now my heart is sore” (3. 13-14). “Love one another” (John 13:34). If you are referring to two or more works at the same time to support your claim, the last names of the authors should be separated by semicolons within parenthetical citations. The grass has a green color, however, it may vary from season to season and is affected by local environments (Smith 12; Jefferson 276; Garrity 64). Keep in mind though, that such method of citation, although viable, is not very convenient for the audience, as it does not specify the direct connection between the cited words and the name of their author, which complicates the process of tracing the quoted material to the original source. According to the data provided by Global Environment Today on its website, some types of grass are on a verge of extinction (“Grass”). Generally, the rules for in-text citations for electronic sources are the same as for the printed documents. Sometimes you need to omit a phrase, sentence or several sentences within a quoted material. To mark the places where some parts of the text were omitted, use ellipsis points. If some part of the text is omitted in the beginning of a quote, use three periods divided by one space between each. If you skip a sentence within a quoted passage, indicate such excluding by four periods, separated by a single space each. If there is no parenthetical citation after the quote that ends with an omission, end the quote with four periods before the quotation marks. Regardless of the type of a source and a method of referencing that you chose, the distinction between the borrowed ideas and your own thoughts should always be clear. How to write a reference page in MLA format? Double-spaced, including the spaces within and between the entries, between the heading and the first entry. Two spaces should be used after periods; single spacing is used after other punctuation marks. First line of each new entry should be flush with the left margin, whereas all the following lines of an entry should be indented one-half inch or five spaces from the left margin (reverse indentation). The order of citations in MLA is alphabetized according to the authors’ surnames. If the source that you are referring to has no author, yet has an editor, the corresponding entry should be located in accordance with the editor’s last name. If the cited source has no author nor an editor, the first major word in the title is the one to use as a baseline to determine the order of entries. Obviously, some of these points might be omitted due to the lack of information in the source, yet the structure of the citation is always the same, and is appropriate for all sources, all types of papers and all fields of study. The current version of the Handbook requires using punctuation as in the example above. How to cite a book in MLA format? Start with the author’s surname, then the first name as mentioned in the source, and a period. Proceed with two spaces, type the book title. All first letters of the main words in the title should be capitalized. The title should be underlined, yet the period after the title is to be left without underlining. Write the city where the source was published, follow by a colon, single space, the name of the publisher followed by a comma, a single space, and the year when the publication appeared. End the entry with a period and remove words such as “Publishing Company” and “Inc.” from the name of a publishing house. If the citation takes more than one line, apply reverse indentation. Carr, Nicholas G. The Shallows: What the Internet Is Doing To Our Brains. New York: W.W. Norton, 2010. If your Works Cited list contains two or more works by the same author, they should be alphabetized by the title. The author’s name is mentioned in the first entry only. In the second entry, three hyphens and a period are used instead of the author’s name. After that, the pattern for the citation remains the same. Carr, Nicholas G. The Glass Cage: How Our Computers Are Changing Us. New York: W.W. Norton, 2015. ---. The Shallows: What the Internet Is Doing To Our Brains. New York: W.W. Norton, 2010. If the book that you are referring to has two or more authors, list their names in the same order as they are listed in the source. However, only the first author’s name should be reversed (Surname, Name), all the following names are listed in a regular order (Name, Surname). Green, John, Maureen Johnson, and Lauren Myracle. Let It Snow: Three Holiday Romances. New York: Speak, 2008. Smith, John, Bill Jason, Alison Nash, Nicholas Cooper, and Jane Jefferson. Summer Stories. New York: Workman, 2003. Smith, John, et al. Summer Stories. New York: Workman, 2003. If you are citing an edition of a book, the number of the edition should me mentioned after the title, yet not underlined. Newport, Cal. Deep Work: Rules for Focused Success in a Distracted World. 2nd ed. New York: Grand Central, 2017. If the cited book has no author specified, yet mentions an editor or a group of editors, the entry looks identical as those discussed above. Mention the name of the editor in the same way as you would write the author’s name, followed by “ed” if there is one editor, or “eds” if there is a group of editors. Tallett, Frank, and D.J.B. Trim, eds. European Warfare, 1350-1750. Cambridge UP, 2010. If the cited book has an author and an editor, the name of the editor is mentioned after the book title, with an abbreviation “Ed.”, which, in this case stands for “Edited by”, and thus, is used for a single editor and a group of editors. Williams, Sarah. Cognitive functions of teenagers with dyslexia. Ed. Norah Harris. New York: Enlightenment, 2012. Same principle applies for the translated works. The abbreviation “Trans.”, which stands for “Translated by”, is used after the book title to denote the translator’s name. Kangarot, Jaykrit. Modern Buddah. Trans. James Taylor. Boston: Pandora, 2008. The work that has no specified author is alphabetized by the first major word in the title (words except “A”, “An”, “The”). If the work that you are citing constitutes of two or more or more volumes, it should be mentioned in your reference. The overall number of volumes is marked by an abbreviation “vols” before the location and the name of the publisher. Davis, Rebecca. Field Notes of a Lunatic. 4 vols. Boston: Sunshine, 2003. Keep in mind though, that if you cited only one of the volumes, its number should be written before the city and the publisher’s name, yet the total number of volumes is written in the end of the entry, after the date. Davis, Rebecca. Field Notes of a Lunatic. Vol. 3. Boston: Sunshine, 2003. 4 vols. When you are referring to articles in prominent dictionaries and encyclopedias, list the name of the author if one is mentioned in the source, the title of an article, the title of the dictionary or encyclopedia, the edition number and the year of publication. Other details, such as volume and page numbers can be omitted, as the articles are organized in alphabetical order and thus no other guidelines are needed to trace the entry in the original source. However, if the cited source is not well recognized, include detailed publishing information to your citation. “Robotics.” McGraw-Hill Concise Encyclopedia of Science and Technology. 6th ed. 2009. If you used quotations from the Bible in your writing, the Bible is not included into the Works Cited list. Even if you cited a specific version of the Bible, it is only mentioned within the in-text citations. If you are citing a work in an anthology, stick to the following order of citation, dividing the sections with a period: author of the selection, title of the selection, title of the anthology, editor of the anthology, followed by “Ed.”, location, publisher’s name, date, numbers of pages, where the selection is located. Black, Martha Fodaski. “The Quintessence of Chopinism.” Bloom’s Modern Critical Views: Kate Chopin. Ed. Harold Bloom, updated ed. New York: Infobase, 2007. 103-18. If the material that you have cited appeared in a foreword, introduction, preface or afterword, the citation entry should begin with the name of the author of the corresponding part of the text. Note the part of the text that is being cited, then the title of the book, the author of the book, the editor of the book. After the publication information, provide the page numbers, where the cited part of the text is located. Allen-Hill, Amanda. Foreword. The Master and Margarita. Mikhail Bulgakov. New York: Vintage, 1996. 7-21. How to cite an article in MLA format? Citing articles from periodicals (newspapers, magazines, scholarly journals) is similar to citing books: the main parts of the citation are the author’s name, the title of the article and the information about the source. If the cited article was published in a magazine, write the author’s name, followed by a title of the article within quotation marks, followed by an underlined or italicized title of the magazine. Note the date of the publication, yet keep in mind that the month should be abbreviated. Green, Aaron. “Couch Potato Kids.” Newsweek, 3 Jan. 2014, pp. 23-24. Keefe, Alexa. “Celebrating the Bond Between the Monkeys and Their Humans.” National Geographic. Dec. 2017, pp. 13-17. If the cited article was published in a newspaper, use the same citation pattern as you would for a magazine. Mention the page numbers including section designation after the year of issue. If the article is printed on more than one page (not consecutive), use a plus sign after the page number to indicate that. Brown, Rachel. “Tragedy, Outrage and Optimism”. The Guardian 14 Dec. 2017: A1-A3. Carter, Mike. “7 Ways to Increase Your Productivity”. Daily Herald 12 Aug. 2014, sec. 3: 2+. When you are citing an article from a Scholarly Journal, add the volume and issue numbers separated by commas. Mention the page numbers after the year of issue. Murphy, Brian. “Divided by a Common Language: Where Differences Between British And American English Has Gone So Far.” ASU Literary, vol. 7, no. 2, 2008, pp. 27-35. If the cited article was written anonymously and has no editor mentioned, the citation entry should start with the title of the article, and otherwise comply with the requirements for the type of periodical where the article was located. Reed, Andrew. “Is 25 the New 18?” Time, 3 Apr. 2012, pp. 34-36. Howard, Bill. “What’s New In Healthcare System.” Washington Post, 17 Mar. 2003, p. LZ01. How to cite electronic resources in MLA style? Date of the access (not mandatory, yet recommended, especially for the pages that are likely to change their content). Although sometimes some of the listed information is not mentioned on the website, it is important to gather and provide as much data as possible about the cited web source. Author. “Title.” Title of container, Other contributors, Version or Edition number, Volume number, Publisher, Publication date, Location (pages, paragraphs, URL, DOI). Date of access. edX. Free online courses, 2017, www.edx.org. Accessed 24 Sept. 2017. Colman, Dan. “Why Coffee Naps Will Perk You Up More Than Either Coffee, or Naps, Alone”, 15 Dec. 2017, www.openculture.com/2017/12/why-coffee-naps-work-will-perk-you-up-more-than-either-coffee-or-naps-alone.html. Accessed 18 Dec. 2017. Kelly, Roger Reid. “Medieval Architecture in Modern France.” Master’s thesis, U of Massachusetts, Boston, 2009. Dissertations and Theses, ezproxy.umuc.edu/login?url=http://search.proquest.com/docview/495280882?accountid=12754. MLA research paper citation is the same as article citation, and depends on the source, where the research paper is published: if the referred paper was printed, follow the instructions for citing articles in printed journals, yet if the research paper was retrieved from a digital source, use the guidelines for online article citation. 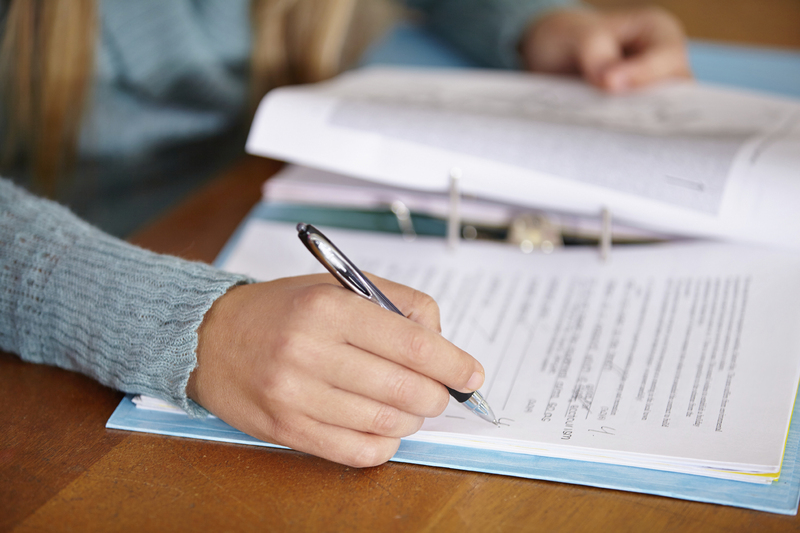 Essays are among the most frequent tasks in high school, college and university. Most of them require thorough planning and a certain amount of research before the writing, and all of them require a coherent narration and a logical structure. There is no surprise that essays are the most common assignments, as completing such tasks involves applying a whole range of skills, such as creative thinking, critical reading and reasoning, data analysis, developing ideas and substantiating them with arguments. 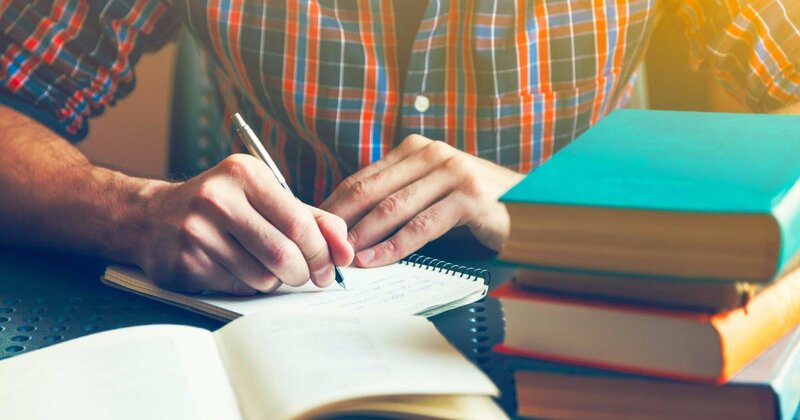 Writing an essay in MLA format means communicating your thoughts and relevant information in a consistent manner and formatting them according to MLA format guidelines for essays. There are different types of essays, and each type requires some specific features and approaches. How to write an argumentative essay in MLA format? The key to writing a strong argumentative essay is finding a controversial topic. Once you choose a topic that warms up your interest, think of the argumentation that you can use to support your point of view, as the purpose of writing an argumentative essay is persuading the audience to take your side of the dispute. A good approach would be to write an outline before writing an essay itself. 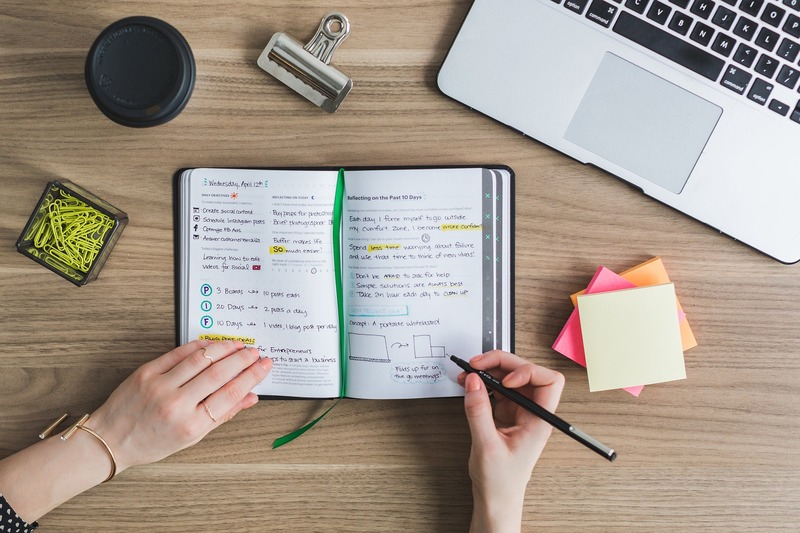 Planning your essay will allow you to make sure that you won’t leave out any vital points to support your claim, and all the arguments that you use are relevant to the topic. However, supporting your own claim is not enough; an important element of argumentative essays is persuasive evidence, which can reveal inconsistencies and flaws in the logic of the opposing view. assembling a Works Cited page, where you should mention all the sources that you have used to support your point of view. Persuasive essays are quite similar to argumentative ones, as they have a similar purpose, which is making the audience agree with the author’s point of view. However, persuasive essays are less formal, as they mostly appeal to the audience’s emotions. As facts and data are not the tools that can be used to write a strong persuasive essay, knowing the audience’s character and features will contribute a lot to developing a convincing narration. Writing a persuasive essay in MLA format implies creating a proper title page and a header, and formatting the main text in accordance with MLA requirements. How to write a narrative essay in MLA format? Although narrative essays imply a type of writing that is completely different from argumentative and persuasive types of academic papers, finding a good topic is an important step to writing a powerful and enthralling essay. Unlike argumentative essays, narrative writing requires vivid expressions and precise details as a means of creating a strong point of view and involving the audience into the story. Personal experience is commonly used as the capstone of narrative essay writing. Moreover, narrative essays usually have general features of storytelling, such as a number of characters and settings, a plot, opening, climax and ending. All the parts and details of a narrative essay should relate to the main topic and support the main idea. As narrative essays rely mostly on personal stories of the author, there is usually no need to use any citations, and consequently, there is no need to arrange a Works Cited list. Therefore, following the MLA format for narrative essay writing means only creating an MLA format essay title page (if requested by an instructor), setting a heading, and adhering to the requirements for the font size, spacing, and indentation of the text. MLA essay structure largely depends on the type of the essay. In other words, the guidelines for formatting each possible part of an essay are defined by the MLA standards, yet the author has to be selective and should apply only those patterns, which are relevant to a particular type of writing. However, it is always helpful to ask your instructor for some examples of essays in MLA format in order to meet all the requirements for a particular assignment. Some colleges request their prospective students to use MLA format for college admission essay writing. In such case, it is important to make sure that you are aware of all the other requirements for this task, such as word count, language tone and style that should be used, and a specific topic or question that should be addressed in your writing. If you have a particular topic to write about, make sure that you don’t deviate from it, as, among other things, schools are evaluating the ability to follow the instructions. For this very reason, it is crucial to be precise and meticulous when it comes to formatting documents of such importance. As many students know from their own, at times bitter, experience, conducting a research and writing a research paper both require a lot of patience and determination, yet each calls for a different set of academic skills. Some students would find handling researches more preferable than writing papers about those already conducted. However, each academic work should be represented in a written form, in order to provide communication within the scientific community. Using MLA format for research paper writing means organizing your thoughts and gathered data in a logical and convenient order, and citing all the used sources to acknowledge the work of other scientists and researchers. One of the effective approaches to writing massive academic works is starting with an outline. This method helps planning the structure of the text and allows finding the weak spots and missing parts of the narrative. How to write an outline for a research paper MLA style? Moreover, as it was mentioned above, a detailed MLA format research paper outline can be used as a foundation to help in writing and organizing headings and sub-headings. The length of each section of the research paper should be proportionate to the overall writing in order to construct a balanced reasoning. 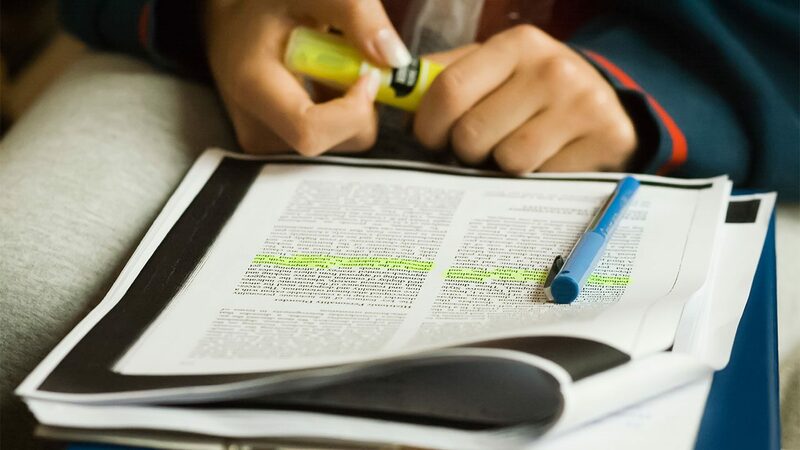 An introduction to a research paper typically addresses three main points: scientific background, purpose of the paper, and the writer’s intentions. Firstly, the author should describe the current status of the field of study, distinguish some of the recent findings and their impact on the subject under review. It is important to follow the MLA research paper requirements for referencing and citation when mentioning other scholarly works. Secondly, the author should mention issues that were not yet examined and substantiate the relevancy of one’s research. And finally, the author should briefly expose one’s intentions and explain the purpose of the writing. In other words, the author should point the gap in the research, which one is trying to bridge. In some cases, it is also appropriate to indicate the expected result of the research. An essential part of writing a research paper in MLA format is listing and explaining the scientific methods that were used to conduct the described research. Obviously, the methods vary according to the field of study and the chosen subject, yet there is one rule to follow, regardless of the topic of the paper, or any other factor: the methodology of the research should be described as precise and thorough as possible. However, it is important to remember that the main audience of the research papers is constituted from scholars, therefore there is no need to explain all the common-known facts and theories in order to make the text seem transparent. Keep in mind though, that if the description of the research methods is too extensive, for example, a questionnaire for a social study, it can be a good idea to include it into the appendices section. In such case it is important to ensure the proper referencing between the sections. The part of the research paper where the author describes the results of the research is the most flexible of all as it adjusts to the needs of the particular research, topic, and type of gathered data. Some information is better represented in tables, charts and graphs. Same as in the “Methods used” section, it might be a good idea to include some of the materials into the appendices, and describe only the most relevant and necessary data. However, the author should comment the results of the research in order to create an equitable presentation of one’s ideas and findings. The results of the research and the gathered data should be analyzed and explained in the “Discussion” section. This part of the work presupposes personal interpretation of the previously presented material. Conclusion is the final and vital part of the main text of the research paper. This section of writing should contain further discussions of the conducted research and obtained results. The conclusion of the text should coincide with its introduction by addressing the same range of questions and issues. It can be expressed in a few sentences or several paragraphs, depending on the type of the paper and its overall length. The author should provide more details about the research, identify the possible application of the research and anticipate further study and analysis. The MLA research paper guidelines require compiling and formatting a Works Cited list. Whereas the requirements for citing different sources are numerous and demand a thorough and fastidious work, there are two basic rules in MLA research paper citation that must be followed: all cited sources should have a corresponding entry in a Works Cited list; the list should be arranged in alphabetical order according to the surnames of the sources’ authors. The cover page for MLA research paper should include the key information about the paper: educational institution name, title and subtitle of the work, the author’s name, name and number of the course, the instructor’s name, and the paper’s due date. However, it is a good practice to request the instructor to provide a sample of a research paper in MLA format to ascertain that you understood and followed all the guidelines when formatting your own piece of writing. MLA is a formatting style that determines the key elements of organizing a text, thus it can be applied to various documents and for numerous purposes. Therefore, it is no surprise that there are various questions about formatting particular texts in accordance with MLA requirements. How to write a report in MLA format? The purpose of writing a summary is to give the readers a brief into about the subject and structure of the report. This part of the document is better be written after all the components of the main text, as this will guarantee that all the important points of the narrative are mentioned. The introduction should provide the idea of the purpose of writing and a brief information about the problem under consideration. Writing a report requires communicating the facts in a logical and coherent manner, and thus, its main body should have a clear structure. The most efficient way of highlighting a structure of the text is using a set of headings and sub-headings. The conclusive part of the text should contain the author’s analysis of the provided facts, inference of the ways how a researched problem can evolve, and possible recommendations and solutions for the reviewed problem. Obviously, the Works Cited list should reflect the details of all the sources that were used to collect the facts and data prior to the writing. How to write a book review in MLA format? Book reviews are quite a brief form of writing, often about 500-800 words. The main aim of such texts is to provide the assessment of certain books, typically the ones that were recently published. Although book reviews may differ in their length and language tone, they should still meet several requirements and cover some key questions. The main part of the review should focus on the discussion what the book is about, and how well the book covers the announced topic. Such analysis requires personal engagement and immersion into the subject of the book. As to evaluating any findings described in the book, it is important to have adequate expectations: there are small chances that the book will present a major scientific breakthrough, yet it should at least present an original viewpoint of the issue. How to write a letter in MLA format? MLA letter writing format can be applied to formal and personal correspondence, making the letters clear and organized. As any other document in MLA style, a letter should be typed with a 12-point Times New Roman font, double-spaced, with single spacing after the end of the sentences. The body of the letter should start with a greeting, followed by a colon. For example, “Dear Mr. Burns:” The main text should be concise and to the point. The first lines all the paragraphs should be indented from the left margin. The last paragraph should restate the purpose of the writing and include the specific contact information, such as phone numbers, e-mails etc. It would be a polite gesture to thank the reader for the time and consideration. Lastly, the author of the letter should center the word “Sincerely”, skip two lines and type one’s name, centered. The two blanc lines in between are the place where the author should leave a handwritten signature. If there are any other documents included to the letter, the author should type “Enc.” or “Enclosures” and list all the attached files. How to write a cover letter for an MLA paper? If the academic work was written by more than one author, the cover letter should also indicate that all the co-authors agreed on submitting the manuscript to the publisher. 1. How to Do MLA Format Assignments With No Stress 2. How to write a paper in MLA format: general requirements 3. MLA style writing: rules and tips 4. How to cite a book in MLA format? 5. MLA Format for Essays 6. How to write a narrative essay in MLA format? 7. Steps to Writing a Research Paper MLA Style 8. How to write an outline for a research paper MLA style? 9. How to write a report in MLA format?